I want to show you a project I had up on the American Crafts blog last week. It was way too fun to make and I have gotten so many compliments! 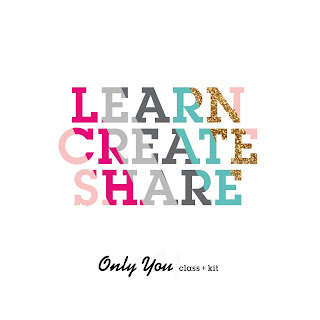 I'm including a quick tutorial so you can make one too! 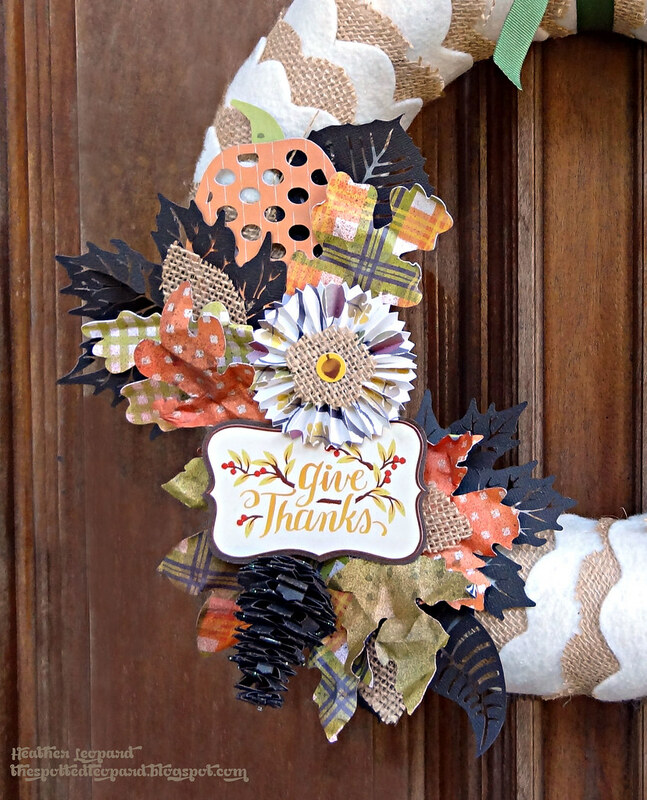 I love to make my visitors feel more welcome by decorating the front door for the fall season. This handmade wreath is just a little something to greet them as they walk up. This can be re-created very inexpensively and is relatively easy to make. 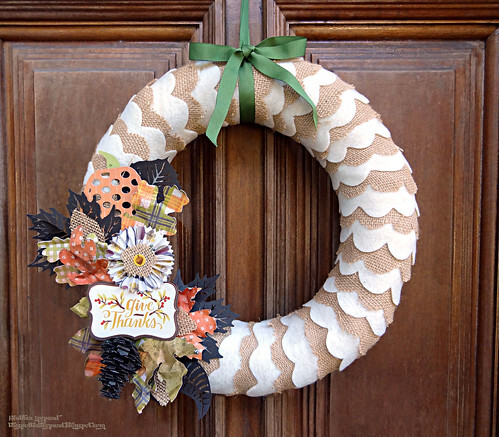 You'll also need: Round wreath, felt & burlap cut from a fabric bolt, die cutting machine & dies or files, phrase stickers, scissors, orange, green & brown mists, ribbon, glitter glue, staple gun, liquid glue, plastic gloves. 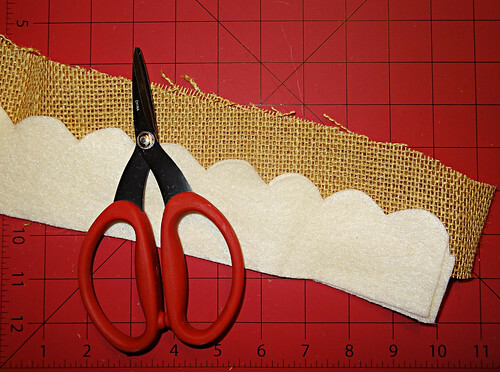 Step 1: Cut strips of felt and burlap approximately 3.5" h x the as long as the fabric allows. Cut scallops out of the felt and burlap. It doesn't have to be perfect; just eye it. 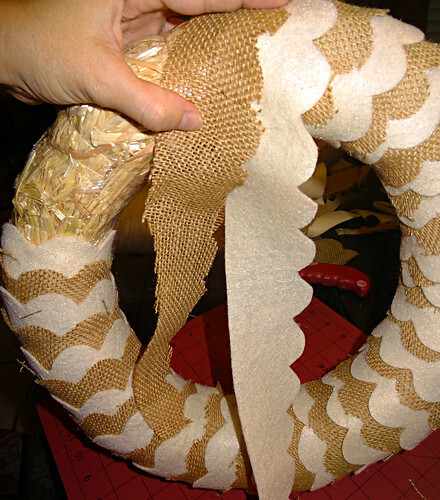 Step 2: Staple the strips to the back of the wreath and start wrapping the strips around the wreath, alternating the felt and burlap at the same time so they overlap each other. Step 3: Cut pumpkin, pinecone, accordian flowers and leaves from paper (I used my electronic die cutting machine to cut these files). Mist the leaves in orange, green and brown mists and crumple them up while they are still moist. Glove are recommended. Unwrinkle them before adding to your wreath. 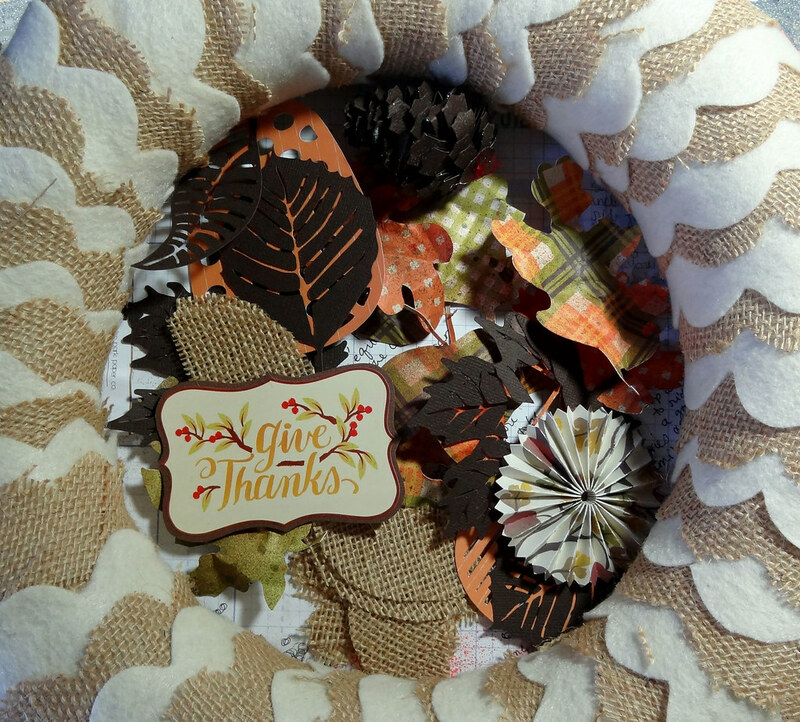 Mat the Give Thanks sentiment on brown cardstock to give it a sturdier base. I used glitter glue to add a little sparkle to my pinecone. Step 4: Layer all the leaves, flowers, pinecone and sentiments to your liking. Step 5: Add pretty bow and now you have a welcoming fall wreath to hang on your door. Thanks for stopping by today. I hope you have a great Thanksgiving week for those here in the wonderful USA. For everyone else, I hope you have a fabulous week as well! super cute!!! love the burlap and all the embellies!! awesome work!! Just beautiful! I love it! The cluster of leaves and things are lovely colors and look terrific. Wonderful! And I love your blog colors too. Terrific! Love the pine cone!